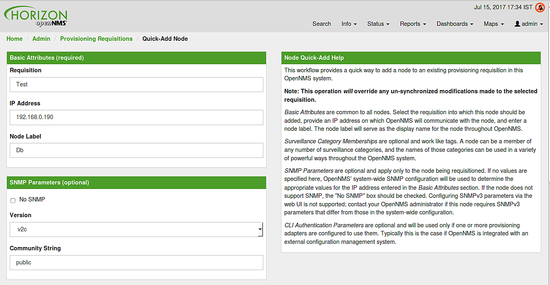 OpenNMS is a free and open source enterprise grade network monitoring web application system that can be used to monitor unlimited devices at a single instance. 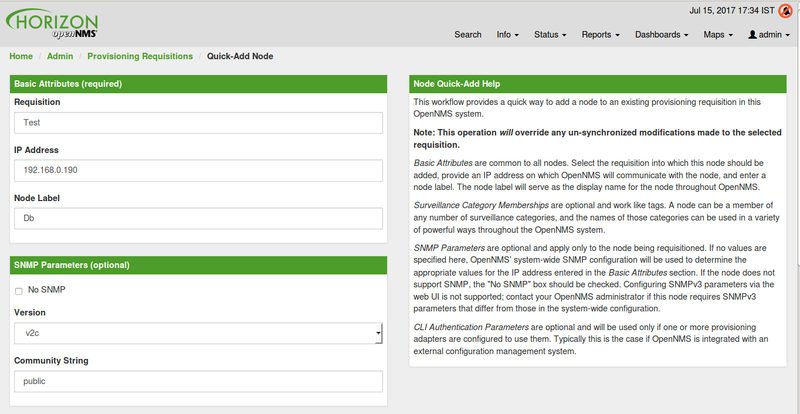 OpenNMS detects and monitor services or nodes automatically in your network. 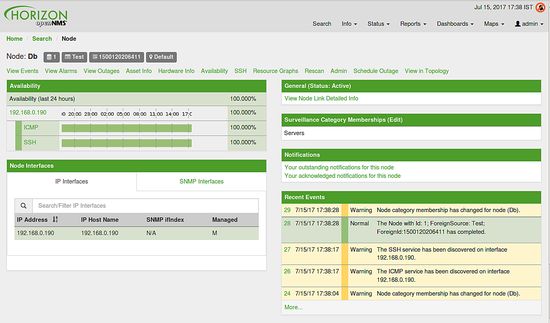 You can also add particular device or service to monitor. 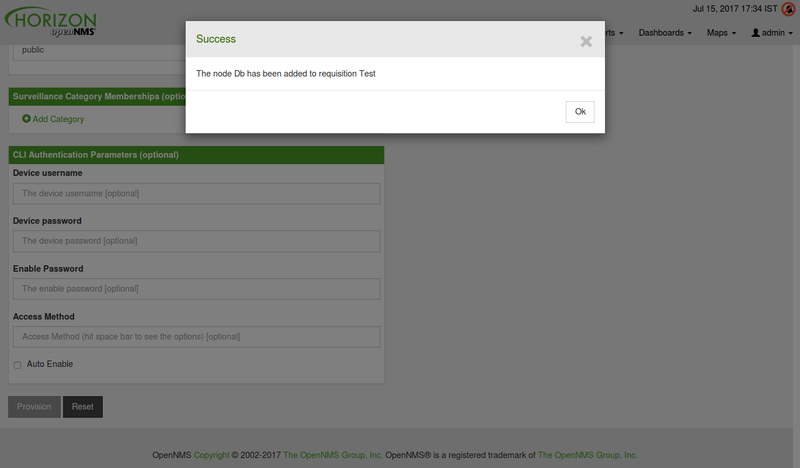 OpenNMS is written in Java, so it can run on any platform. Support multiple operating system including, Windows, Mac, Linux/Unix, and Solaris. Performance Management and Fault Management. 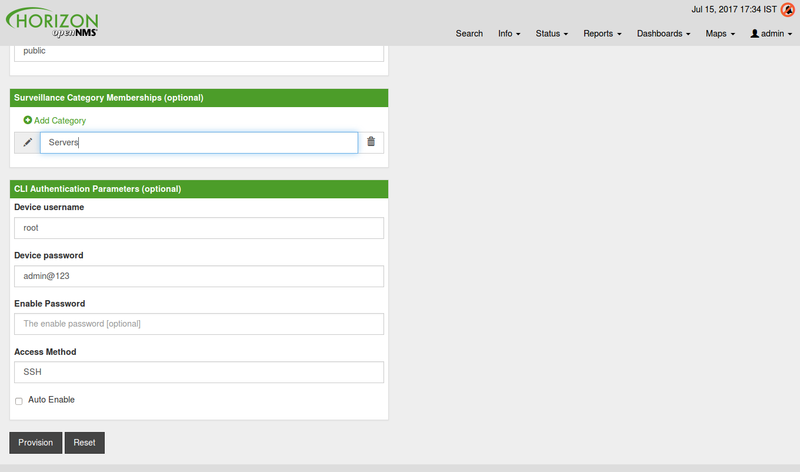 Provide web based customizable dashboard. 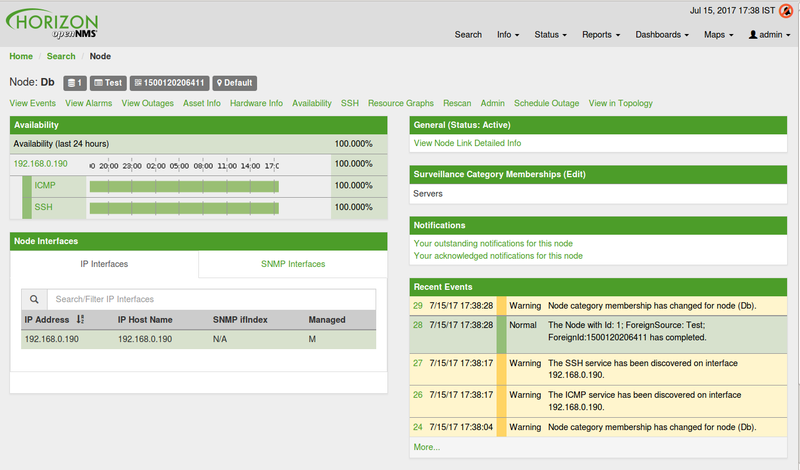 Able to process 125,000 syslog messages per minute, continuously. 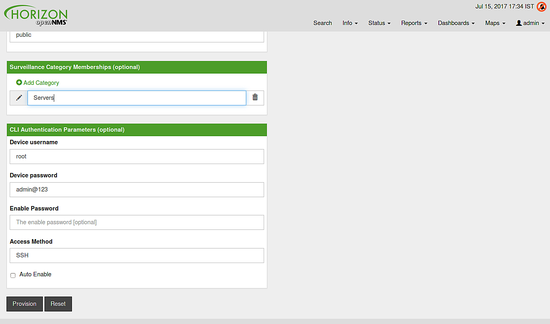 Contains an advanced provisioning system for adding devices to the management system. In this tutorial, we will go through step by step instruction to install OpenNMS on Ubuntu 16.04 serve r.
A static IP address 192.168.0.187 setup on your server. Save the file when you are finished, then restart your system to apply these changes. After installing PostgreSQL, you will need to allow user access to the database. PostgreSQL only allows you to connect if you are logged in to the local account name that matches the PostgreSQL user. 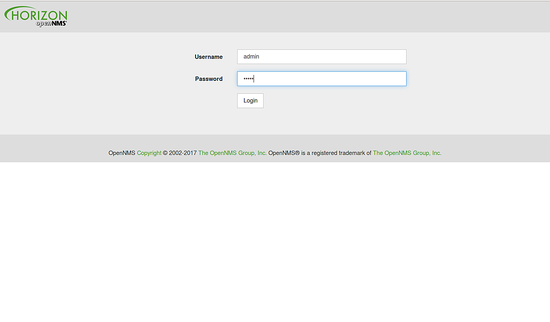 Since OpenNMS runs as root, so you will need to change the configuration to allow root user. You can do this by editing pg_hba.conf file. Once you are done, you can proceed to install Java. Configures PostgreSQL tables, users, and other miscellaneous settings. Congratulations! you have successfully installed and configured OpenNMS on Ubuntu 16.04 server. 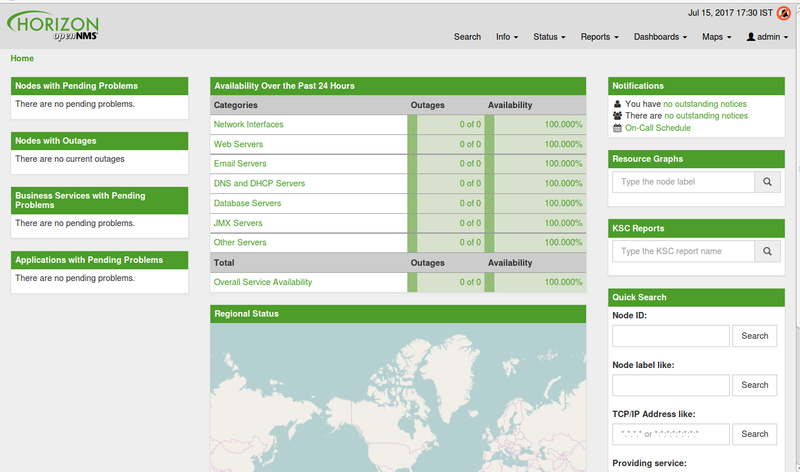 You can now easily add more server nodes for monitoring. Feel free to comment me if you have any questions. Connecting to download.oracle.com (download.oracle.com)|23.219.91.26|:80... connected. 2017-11-20 22:28:52 ERROR 404: Not Found. Oracle JDK 7 is NOT installed.